Muddy Colors: Portfolio Reviews at Spectrum Live! Portfolio Reviews at Spectrum Live! One of the great things about Spectrum Live is getting the chance to have a world-class Art Director look at your portfolio. Unfortunately, there are more artists than there are Art Directors, and not everyone got a chance to sign up for these reviews. I heard some ADs sign-ups filled in under 60 seconds. 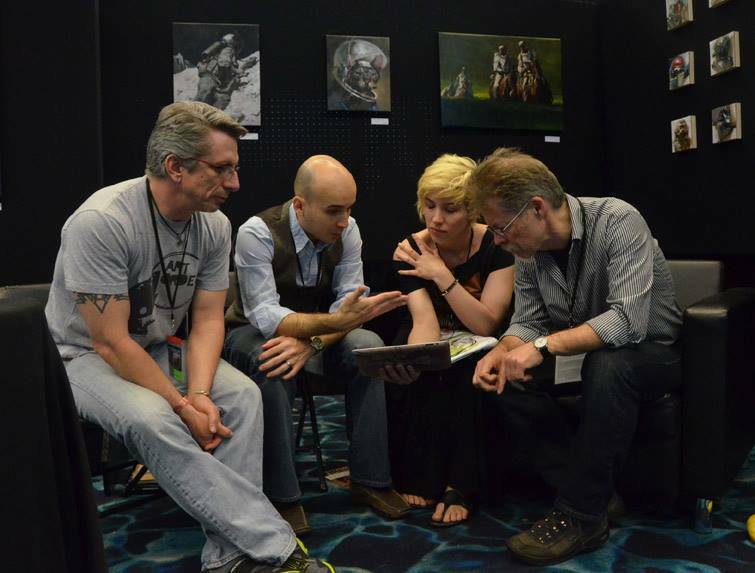 In light of that, the Muddy Colors crew will again be offering portfolio reviews at SFAL as well. Unlike a review with an AD, you're not going to get a job from us (maybe). What you will get is an in-depth review of your abilities, and show you what you need to do in order to GET that job. These reviews are for those who want to improve their work, not just shop it around. The sign ups will be IN PERSON ONLY. Go there, fill out the slot you'd like with your name and number, and that's it. Be sure to be at the designated booth at your time, or you will lose your spot in line.